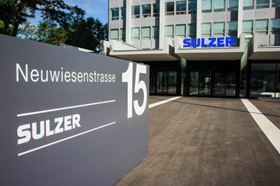 Sulzer's headquarters in Winterthur, Switzerland. Ensival Moret offers a wide range of industrial pumps for applications including fertilizers, sugar, mining and chemicals. The business had sales of €115 million in 2015 and employs around 730 people. Ensival Moret’s main manufacturing facilities are in Saint Quentin, France, and Thimister, Belgium. The company also operates manufacturing facilities in Brazil and China, and has a number of service centres around the world. Sulzer says that the proposed transaction allows it to close specific product gaps in its general industry pumps portfolio, such as axial flow pumps. The business will be integrated into Sulzer’s Pumps Equipment division. The proposed transaction will be submitted to the relevant workers’ councils and the deal is expected to close in the second quarter of 2017. Sulzer has completed the acquisition of Ensival Moret (EM) from Moret Industries.